How to enroll your child to kid’s town? Welcome to Kid’s Town Montessori School. We are a family owned and operated Montessori school. Our program focuses on an individualized learning system, providing an excellent foundation and education from 12 month old to 6th grade. State-of-the-art classrooms with calm and relaxing earth-tone colors, two park-sized playgrounds, and child-sized furniture and bathrooms are just some of our features. 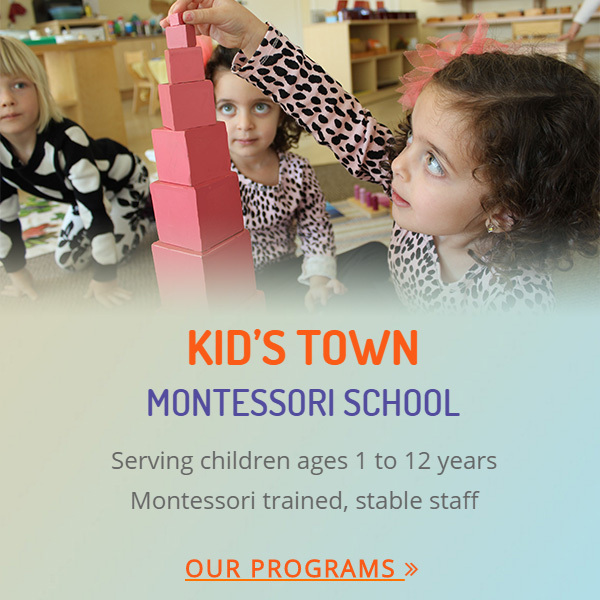 Kid’s Town Montessori school is a state-of-the-art Montessori facility serving children ages 1 to 12 years. 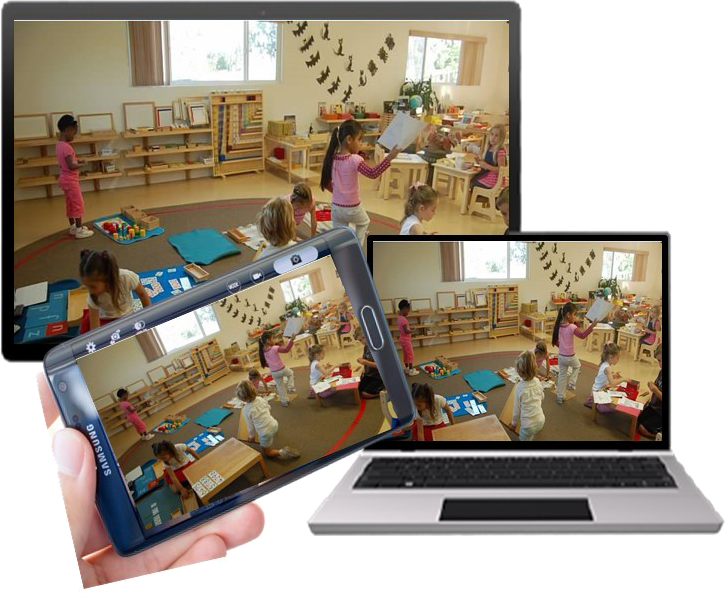 Our High Definition webcam system in each classroom and playgrounds allows you, as well as family members who happen to live far away, to view your child on any smartphone or computer all day. This will give you the opportunity to check on your child throughout the day. A Montessori pre-school education emphasizes on four areas: care of self and the environment, sensory and motor education, writing and reading, and math skills. As the child and the skills develop, special attention is placed on science and related fields, geography, zoology, botany, geology, and chemistry. Designed for ages 12 to 24 months and focuses on preparing the toddlers for immersion into a full Montessori curriculum. The teachers at this level will work with children to help them develop social skills and independence. This completely Montessori based program is taught by our fully certified and experienced Montessori Primary educators. The daily routine provided gives them innumerable opportunities to add to their knowledge. At Kid’s Town Montessori, we hire only the most qualified teachers and childcare professionals. A themed curriculum, where children get more opportunities to learn, while engaging in fun, creative, and interactive games and lessons.